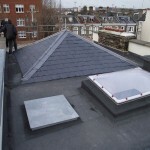 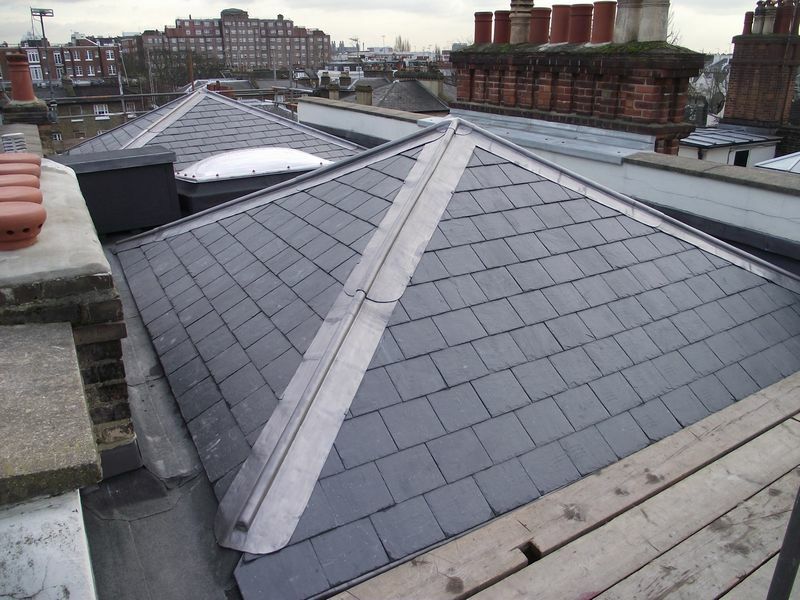 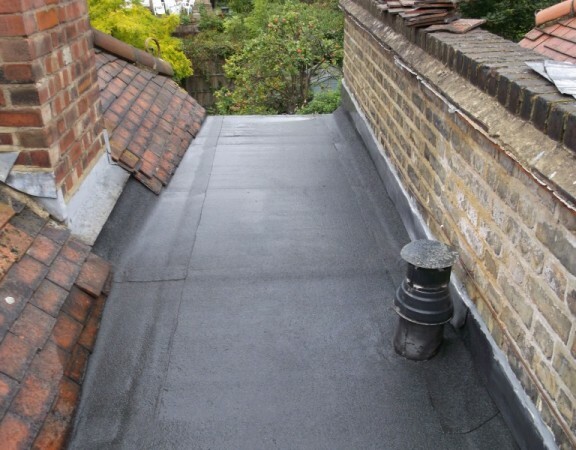 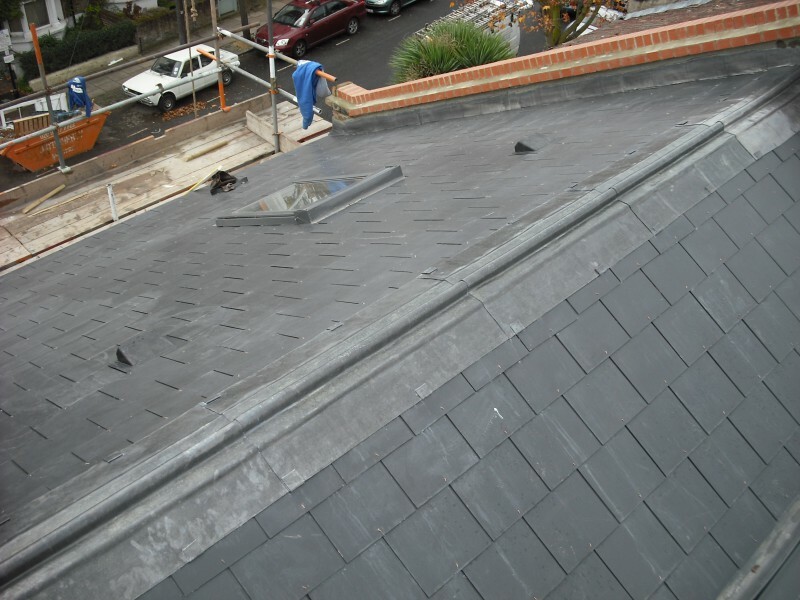 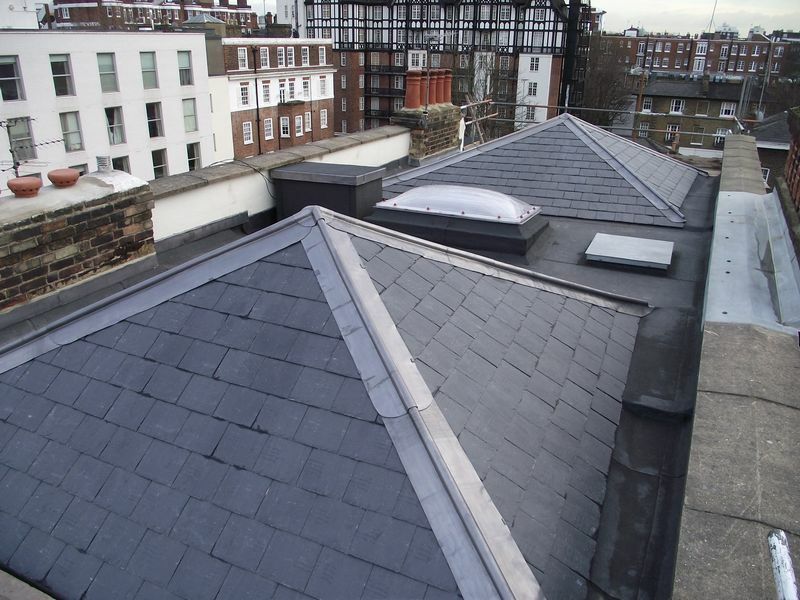 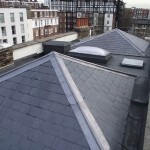 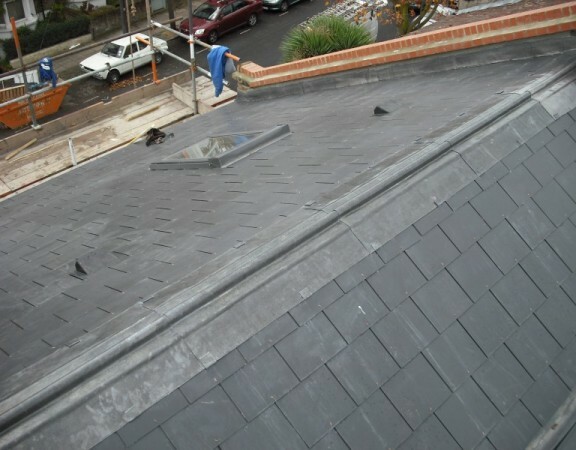 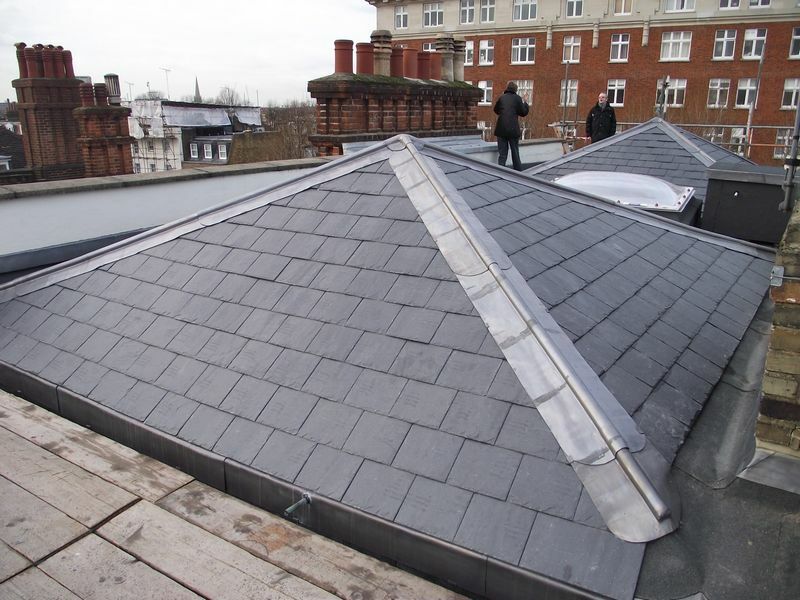 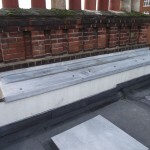 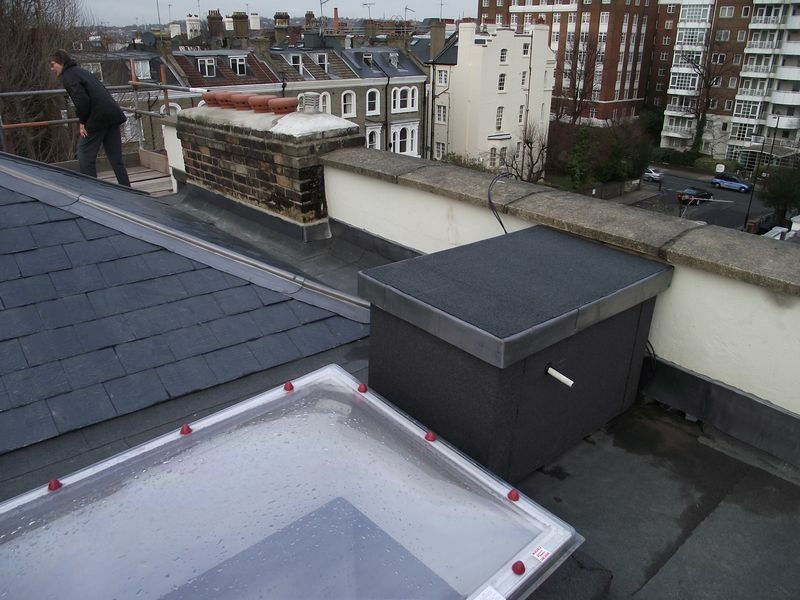 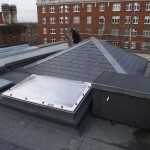 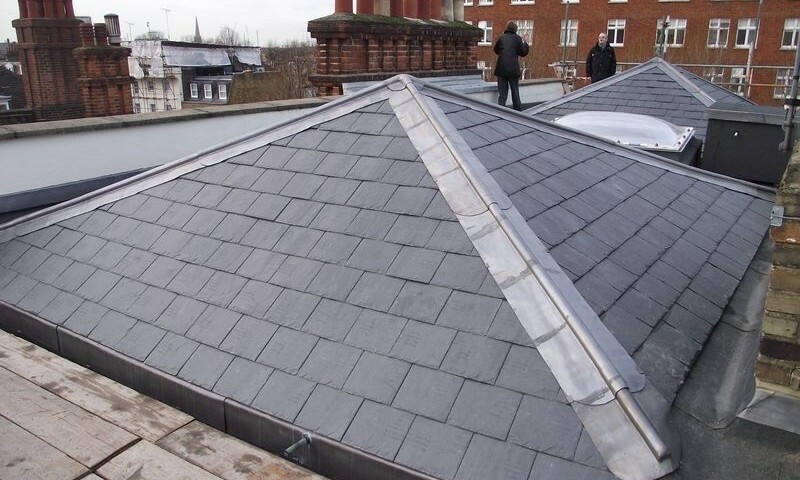 This large terraced property in Westminster had the roof replaced with a natural Spanish slate. 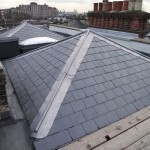 Lead hips were fitted to new slates. 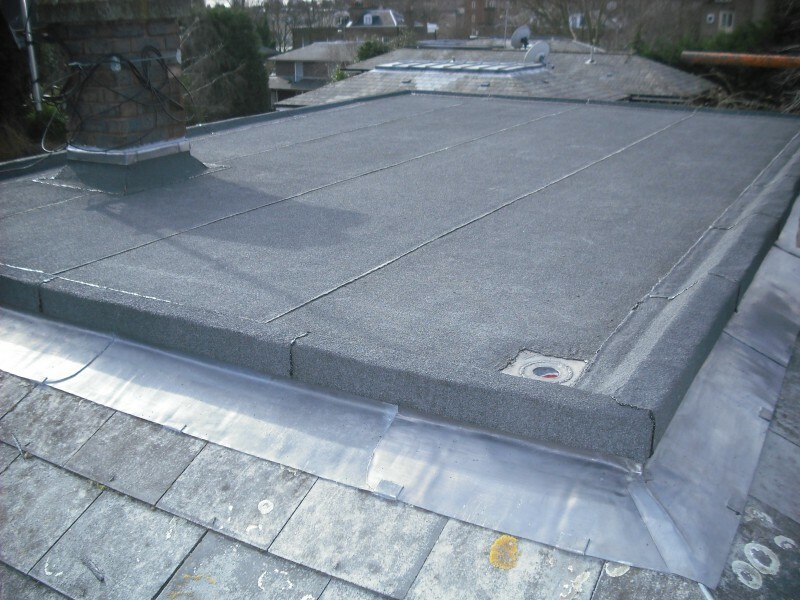 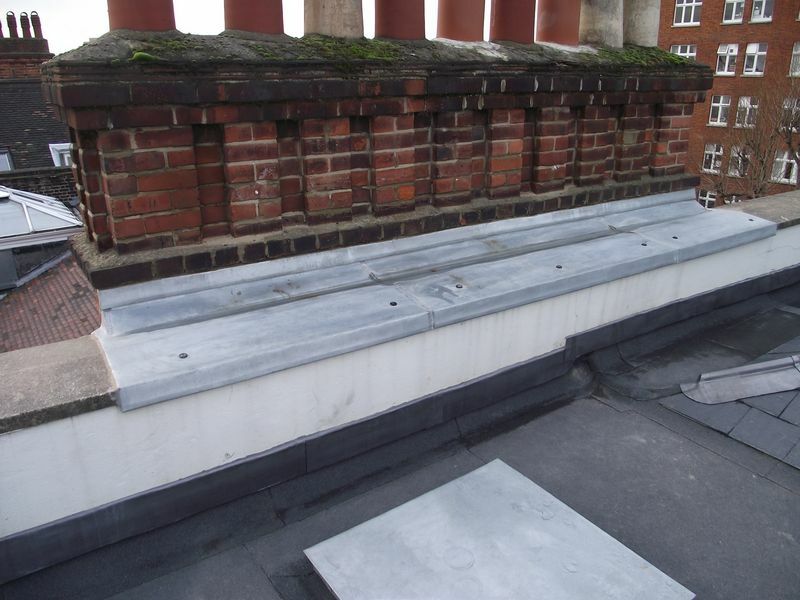 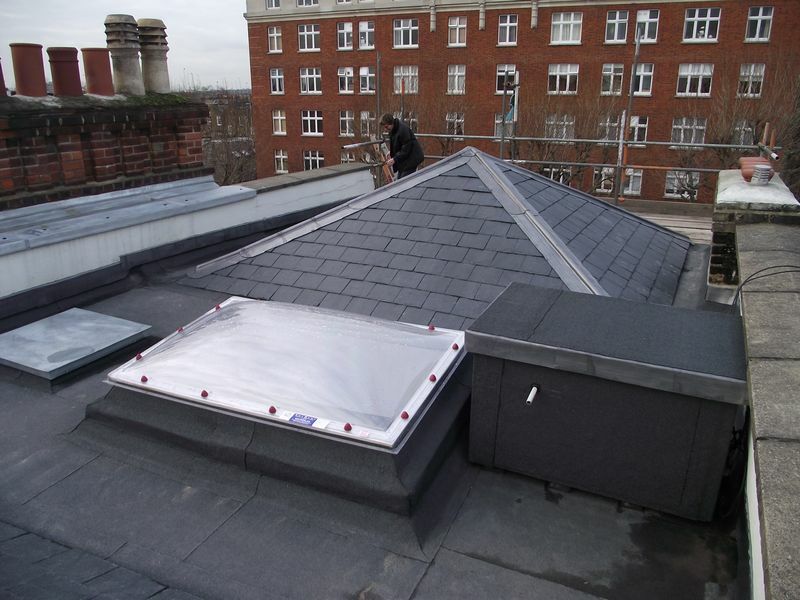 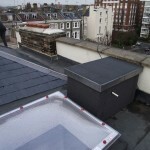 The flat areas were fitted with a 3 layer high performance felt system. 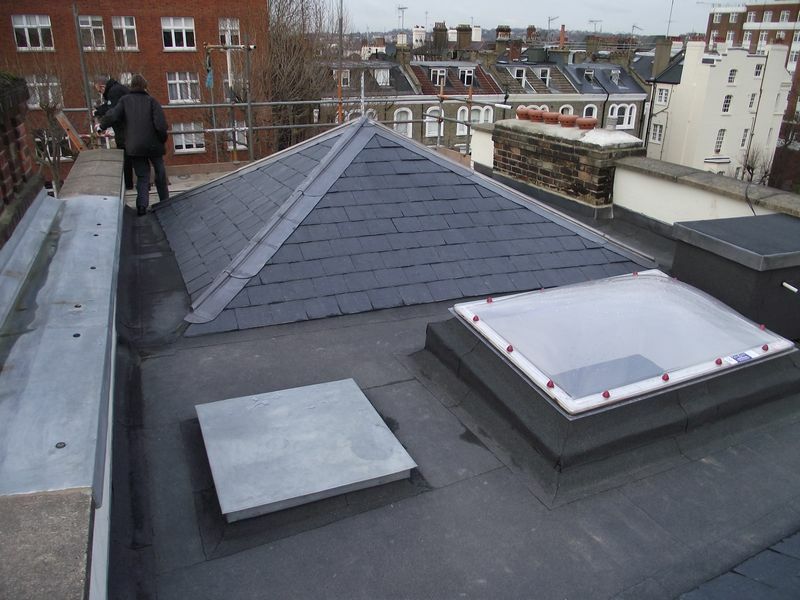 A new triple polycarbonate dome was installed over the hallway to allow natural light in.